Pokemon Go was released in Japan last Friday and it seems not only humans are enjoying the latest global obsession. Trainers all over the country noticed their pets acting a bit peculiar. Soon after, they started posting their suspicions on Twitter. 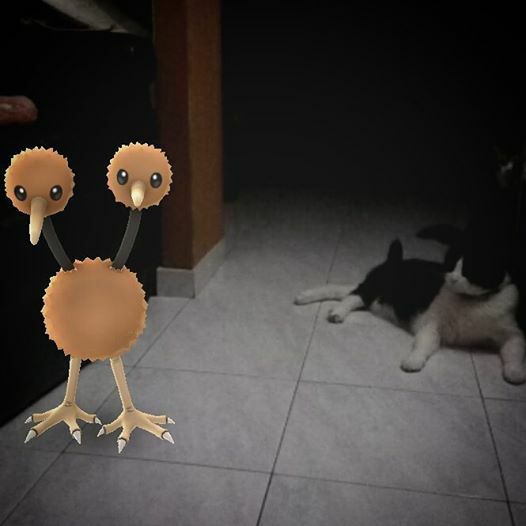 These photos depict what appears to be a connection between household animals and various Pokemon, expressed mostly through eye contact. Who knows, maybe it's not only ghosts that cats see? 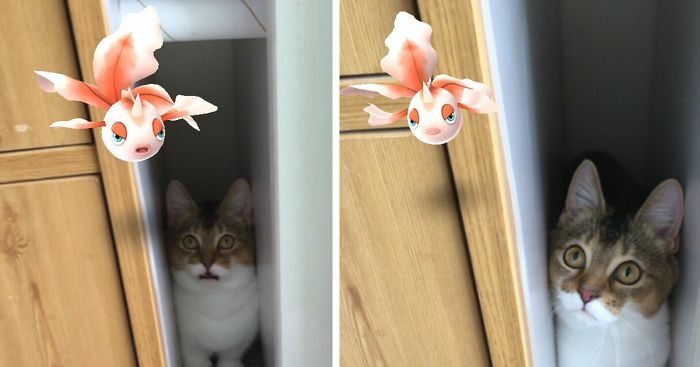 on the picture on the left, the cat is like "what is that thing?" #3 Brother From Another Mother? Too cute to battle anything! Go ahead and eat the stupid thing!!! I hate Weedle!! #8 Should I Catch It? Some of these Pokemon thingys really look strange. Get your garlic arse off my back! water pokemons, outta the water! Looks passive aggressive and needs to be told to change the side of the road. At least the dog seems to be walked a lot! Plotting to seal that beak? #31 No Seriously, Get Off Me! #32 'rat' And Cat . Cat: "No dude, I won't catch this one...don't you see the size of it?!" #39 There's A Zubat In My Kitchen! is that a Beeheeyem on the computer wallpaper? 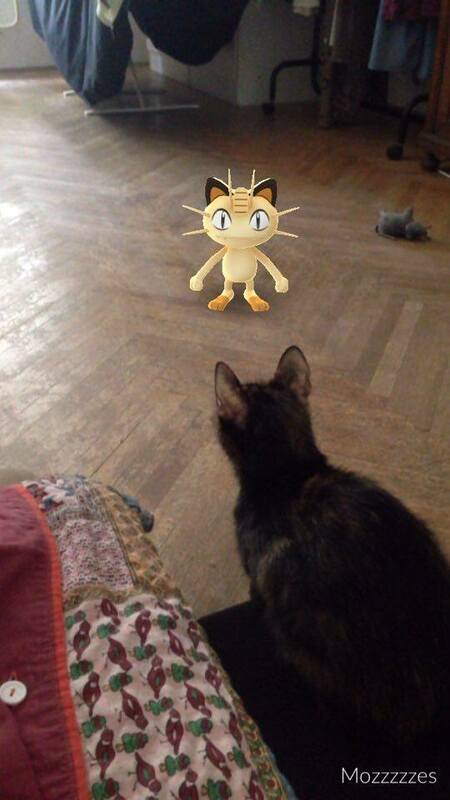 #44 I Am The One True Meowth! #47 Whisper Doesn't Like To Share His Space. #48 Sandshrew Is Obviously Standing A Little Too Close For Comfort. Chihuahuas are not easily impressed...I think it would take a Charizard! This is thee best! Pokemon on horseback! #56 "that Are Not Dog"
#57 How Many Collies Does It Take To Catch A Pidgey? #59 My Kid Can't See Him But My Dog Can ???? #60 What Is That Thing Doing Here!! #61 That's One Fat Psyduck, Mum, Can I Eat It? #62 Hi Pidgey Let's Be Friends Like Snoopy And Woodstock! #76 Omg! They're On My Way! #77 He Can Really See The Poke's. #78 Willow Came Running Over And Tried To Eat It!! #85 Jenner Stopped What He Was Doing To Watch Butterfree. #86 "uhh, Mom? Can I Keep Him?" #88 Not Sure Which One To Try And Catch. Rattata Or Melo? #91 I Think Eevee Wanted To Battle My Pup! #93 Hey I Like Your Ears!